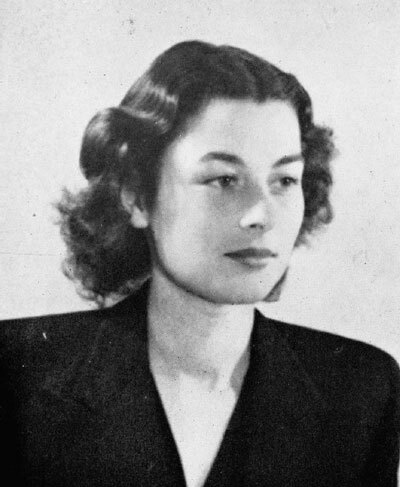 The Violette Szabo Museum opened its doors in June 2000 and was the brain child of Rosemary Rigby MBE who was Violette's aunt. Many years of fundraising and collecting artefacts from people who knew Violette or served with her during the war came to fruition on that day in June. Violette was born Violette Reine Elizabeth Bushell in Levallois Paris on the 26th June 1921. By 1939 Violette was working in a department store in Brixton called Le Bon Marche where she sold perfume. 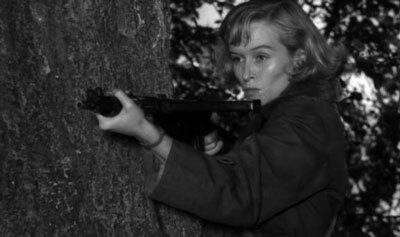 Violette was devastated by Etienne's death and soon joined the SOE in order to become a field operative and courier. Violettes first mission was as courier to Phillipe Liewer in Normandy. Violette Bushell was the daughter of an English father and French mother who was born in France but moved to live in England when she was twelve years of age. 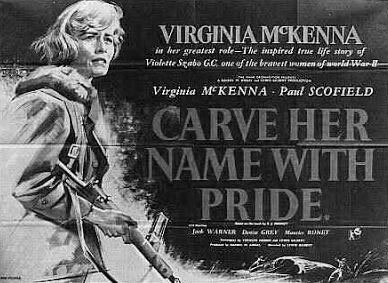 Carve Her Name with Pride is an accurate account of what happened to Violette Szabo during WWII mainly due to the fact that much of the research done by talking to friends, family and agents who knew her compiles a profile of the woman and her formidable character that is very real. Efforts to restore the research on Violette for visitors to the website have been aided by researchers and we hope you find the information you are looking for on this truly brave and heroic woman. 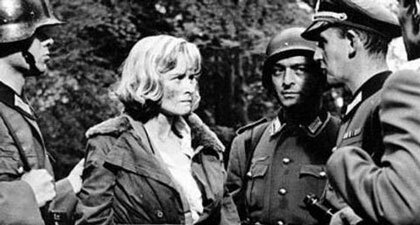 Violette interogated by Germans soldiers. Violette fires her Sten at the advancing Germans.